Please peruse some of the personal notes, emails, phone calls and reviews we receive from our satisfied clients on a regular basis. The windows are gleaming. Thank you! I just wanted to let you know that the two gentlemen who came to do our windows were amazing. They worked so hard in this terrible heat all day and did a beautiful job. They were professional, courteous, and meticulously paid attention to all detail blemishes! 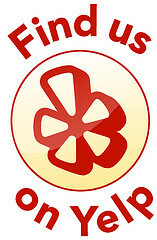 You deserve your number one rating on Yelp. I just wanted to call and tell you how much I appreciate the excellent job that has been done on our windows. Everything is just crystal clear and I am just in awe about how beautiful Ivan has made it here. He, in addition, was very kind and quiet and careful. Fabulously clean windows!! We have A-1 clean our windows twice a year. Always a pleasure!! Thank you Stuart and Rene!! It doesn’t get any better than this!! Great service! I contracted with A-1 Window, Blind, and Gutter Cleaning to clean the windows at a large public facility. They were prompt, professional, reasonably priced, and I would feel comfortable recommending them to others. Stuart, I want to thank you for the amazing, as well as heart-felt, work Rene displayed today as he flushed the gutters (one was really difficult), and then moved on to the myriad of windows that comprise this wonderful home: THANK YOU so very much!! You have a client for the long-run. I cannot say enough great things about Rene and the job he did! I would like to share a comment my Cousin made over the weekend “I never knew you had such a beautiful view” LOL I told her I just had my windows cleaned! The best job I have had on my house. Eddie just left and he did a great job. He was courteous and efficient. He helped me better understand my windows too. Thank you for great service and I will be calling again in a few months for another round. Thanks Stuart. 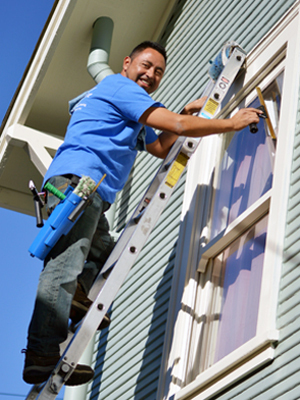 Arnoldo was able to clean the gutters for me right after he gave the estimate. What great service! And he’s such a nice guy. 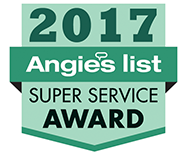 We will definitely call back in the fall for another gutter cleaning and will ask for Arnoldo again. My windows look BEAUTIFUL!! Please, tell Ivan and crew, again, thanks a million we absolutely love the job. 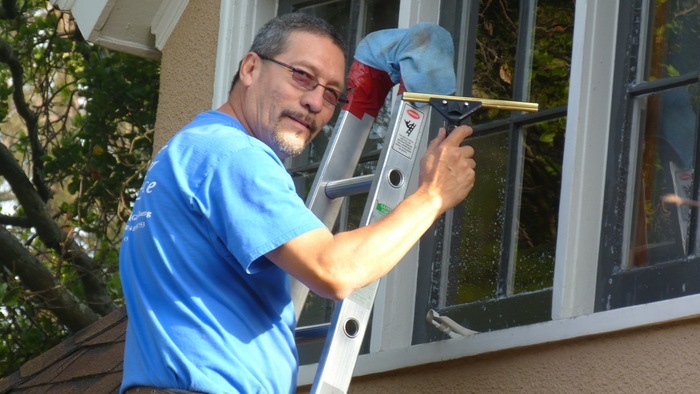 By the way, Edwin and Rafael were a pleasure to work with–on time, efficient, neat, personable and best of all the windows are crystal clear again! Thank you. Thanks very much! It was a very good job. I missed the name of the person who came to do the work, but I wanted to tell you that he was amazingly kind and courteous and did a very good job. I would recommend him (and you) to anyone. Your crew did a terrific job on Friday. The house looks so nice – it’s really remarkable. Thank you for a job well done. We had someone named Rene come to our house to clean our windows yesterday, and we just want to relay a compliment that he was phenomenal, professional, trustworthy, detailed, very, very good. Our house looks amazing. It took him all day. We would hire you and hire him back in a second. And if you ever want to use us a as a reference for your company we’d be happy to support you in doing that. Bravo! Bravo!Stuart, Eddie, did a magnificent job of carefully cleaning some very dirty and damaged windows. We’ve been smiling all evening at the wonder of all we’re able to now see.As I had already prepared a check for our agreed upon fee, I gave it to Eddie with a small tip. When my husband arrived home, he was so pleased with Eddie’s work ethic and demeanor, he suggested that I should have at least doubled his tip.Please forward his address that we may send a personal thank you along with a bit more demonstration of appreciation. See you in the Spring. Ivan did a fantastic job. I will recommend you to all our friends. JUST TO SAY THANKS–you are awesome. Rene does great work and is a pleasure to have around. You certainly have affordable rates. I’m listing you on our neighborhood recommendations site. We are very pleased with the job done by Rene and Eliseo and will recommend your company to our friends. 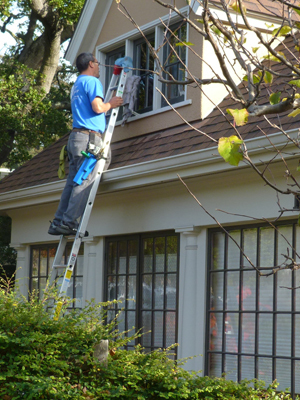 Your crew did it’s usual good job cleaning our gutters. Rafael was on time, courteous and completely innocuous, and knew exactly what needed to be done without any communication from us. Your worker, Arnoldo, by the way was exceptional in his manner – so polite, capable and gracious. Thank you so much! We’ve just had our windows cleaned by A-1. Your workman Ivan was out here, and I just wanted to call and tell you how much I appreciate the excellent job that has been done on our windows. Everything is just crystal clear and I am just in awe about how beautiful Ivan has made it here. He, in addition, was very kind and quiet and careful. He’s just a great person to have as an employee, as you probably already know. I’m so happy with the work. We’re thinking about having it done on a regular basis with you folks….Just wanted to call and compliment A-1 on this work. We are extremely happy with it. I just wanted to let you know how pleased we were with Rafael, and the job he did cleaning the windows and blinds. You may use my name as a reference to say how well he did. Use you again next time. I had to write and tell you how pleased I am with my Super Clean Windows! Ivan was fantastic! What a gem! Thanks very much! The guys were great guys. Wore their little booties when they came in. More than helpful. Very presentable. Very nice guys. Did a great job and just pleasant to have them around. Didn’t worry about anything having them around. Great guys. I am writing you to commend your employee, Rene, who cleaned my windows on April 18th. He did a superb job; cleaning all windows and screens in the house, inside and out, upstairs and downstairs and all mirrors including eight full-length, closet door mirrors. He worked quickly and quietly and left absolutely no mess. I would be happy to employ him again and would recommend him to all. Great crew. Stuart and his A-1 Crew have been cleaning our office windows for several years now. They are dependable, professional; they start early, finish early. I highly recommend them. It had been a couple of years since I had had the windows cleaned. I did not like the last company I used and it took me a while to find someone else. A-1 did an awesome job. The gentlemen were very polite, respectful, fast workers and they did a great job. My windows are so beautiful and shiny now! I have used A-1 for window cleaning for 3 years now. They are very easy to work with, flexible about scheduling, professional to deal with and they do a great job for a very fair price. I highly recommend. Professional and exceptional. I was very pleased with A-1; from estimate through finish of job, they were professional, courteous and a pleasure to work with. They did upsell me when they were here to include some outdoor plexi that runs around two decks…and thank goodness they did. For the first time in years, we have an unimpeded view of the bay.Our windows have NEVER been this clean, and they took the time to point out scratches and other defects they couldn’t tackle before they touched a window – which I appreciated. They also put in extra elbow grease on the outdoor glass and even removed paint that had probably been on there for multiple “professional” cleanings in the past. I wouldn’t hesitate to recommend them again. Reasonable, professional, and thorough. I expected clean windows and was not disappointed! The A-1 crew of 2 was warm and easy to work with. No detail was too small and I felt they really cared. I will definitely use them again. It was indeed a distinct pleasure to meet Stuart Sugden the owner of A-1 The Clear Choice Window Cleaning Service. He was very courteous and certainly not pushy as I have experienced in the past from similar providers. His estimate, which was very fair, was delivered timely and the work when carried out by David was done with a high degree of professionalism and, again, old world courtesy. I will most definitely continue to use the services of this excellent company. Thank you for a job very well done. This Friday will be our last day with you. I can’t believe I’m writing this note. You have done such a terrific job for us. You are a wonderful problem solver. I would recommend you to anyone. Please use us as a reference. It makes me really sad to write this note. Our home and garden have meant so much to us. Please tell Arnoldo how much I appreciate having him here. He is a fine person and does a really careful job. My realtors, Peter and Meoy tell me that the windows look AMAZING. Thank you so much! A-1 did a superb job of cleaning the many, many windows in my 3-story house, including those I could swear weren’t reachable. The men who did the work were so quiet and polite—a pleasure to have around. I have been recommending them to everyone I know and will use them again and again—a wonderful resource! 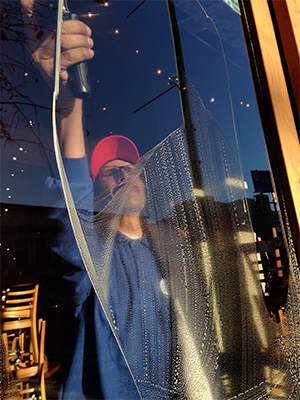 We’ve been doing business with A-1 Window Cleaning since the Oakland Hills fire. We are always delighted with the work and know we can rely on you every time. We’ve been very pleased with your services and would strongly recommend you to other companies for any type of window cleaning. The fact that you’ve been able to come out at a moment’s notice occasionally has been very helpful at those times. We always use A-1 Window Cleaning for the final clean-up. We think they’re great. I have used this service for my business and continue to do so. I couldn’t be more pleased. Though I tried to clean my large storefront windows myself I just never achieved the quality I wanted. And it doesn’t matter how clean the inside of your business is if the first thing your customers see is dingy streaked windows. After A-1 cleaned them the overall affect was a dramatic change for the better. Employees very nice and professional. 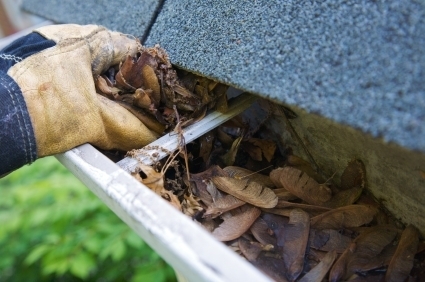 Would recommend A-1 for your gutter services time and time again! There is nothing to compare with clean windows! These are the people to provide them. No muss, no fuss, excellent & quick, cleanest windows possible inside and out. We were moving into a new house and didn’t have the keys yet. A-1 drove by and gave us an estimate on the windows. They then were very flexible while we were still figuring out when we would get the keys. Finally we had a date and they were more than happy to make an appointment. 2 cleaners came to do an enormous amount of windows. We have 29 on one wall alone. The cleaners worked so hard making sure every part of the window was beautiful and clean, including scraping off labels and tape left on from the contractors years before. It happened to be the hottest day of the year and these guys worked for over 8 hours in 90degree weather. They did a spectacular job- the windows were beautiful, you could smell how clean they were!These people are very professional! I would highly recommend A-1 The Clear Choice and will only use them in the future!!! I have used A1 to clean my windows several times. I wouldn’t think of trying anyone else. The workers are polite, well-trained, wear booties over their shoes when the weather is inclement, are trustworthy, and quietly go about getting the job done. The windows sparkle and the screens also get a good cleaning. Everything looks better when I can see it so clearly from inside. I usually hesitate to recommend services to others, but I never hesitate when it comes to recommending A1. I get an appreciative response every time. We used A-1 to have our metal mini-blinds cleaned. Rene arrived promptly, got right to work and did a wonderful job. This company removes the blinds for you, cleans them by hand with a brush, rehangs and dries them. Our blinds are old, but they came out looking fine. We have very high windows and it’s difficult to do an efficient job of cleaning with a vacuum; they really need to be washed in this manner to do a good job. The price was a very good value and we will be using this company again. I am a first time customer and was so impressed with this company. They came promptly to give an estimate and followed up with cleaning the inside and outside of all windows (some not easy to get to). They also thoroughly cleaned all my blinds and hung them back properly. Couldn’t have been more competent or professional. And very reasonable cost. Highly recommend them. These guys did a great job cleaning my windows, mini blinds, and gutters. Stuart was very accommodating, particularly in dealing with foul weather. Total respect for my house with the guys wearing booties indoors. Yes, they are my new cleaners. A-1 and Stuart were great! 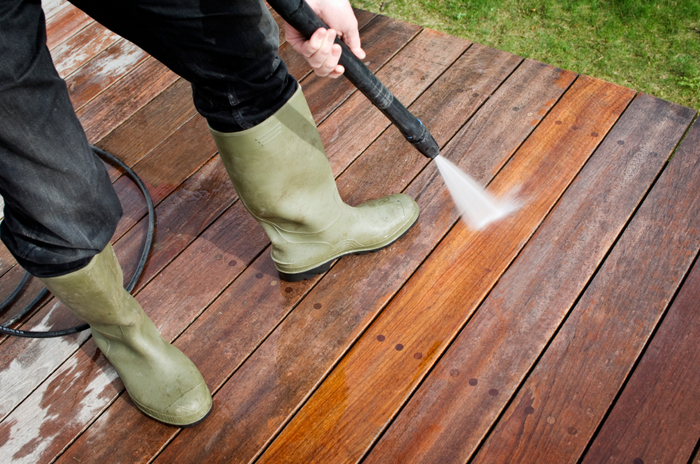 We had our windows cleaned in and out, as well as some pressure washing done on our deck. 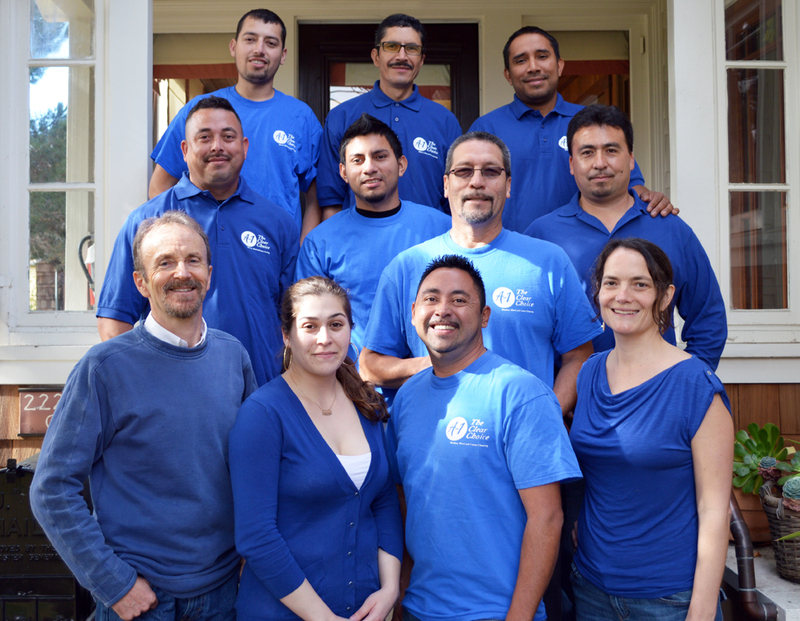 They gave a free estimate and came out to our Oakland home when they said they would. The pricing was just right and we’d definitely use them again. Highly recommended!